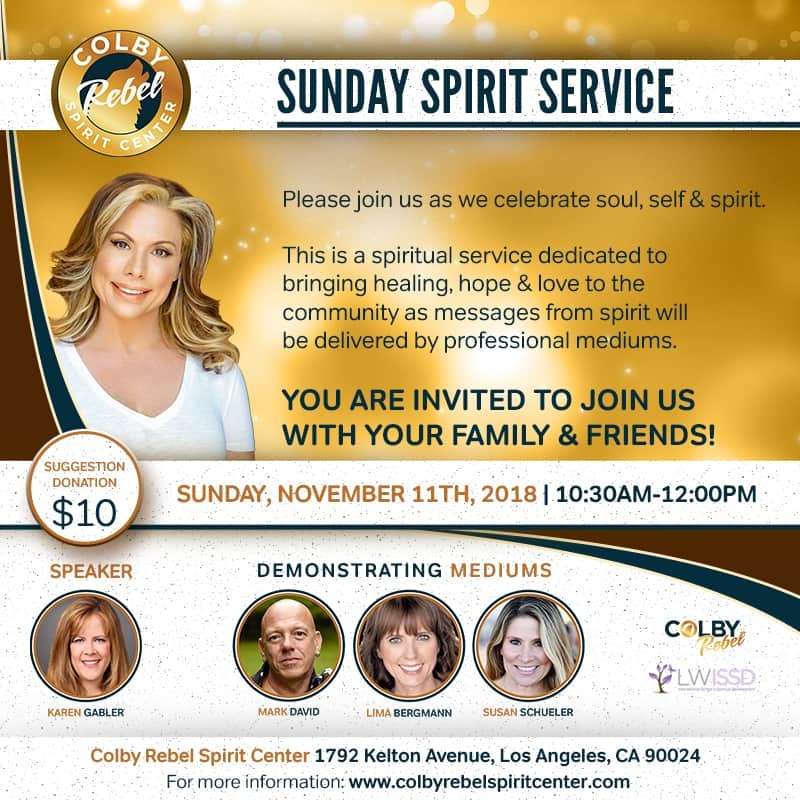 We are excited to have guest speaker Karen Gabler give a professional talk about understanding signs & symbols from your loved ones in Spirit. We also have international healer Mark David provide a demonstration of Sound Healing. Susan Schueler and Lima Bergmann will delivering messages from your loved ones in spirit.